When you start out learning something new, you tend to pick things up quickly. Because you know so little about this new-fangled sport/technology/thing, you go from knowing very little to knowing a lot in a very short space of time. As you keep playing the sport/game or using the technology/thing, you’ll keep learning — perhaps not at the same rate as you did initially, but you’ll still pick things up here and there. You’ll get better and better at whatever new thing you’ve decided to pick up, and just when you feel you’re getting the hang of it — BAM — you hit The Wall. The Wall is unforgiving. The Wall does not discriminate. The Wall will damn-near halt any progress you thought you were making in your chosen field, whether that be medical biotechnology or something as simple as an online game. Regardless of how well you thought you were going, or how much progress you had made since you started out, eventually, inevitably — almost cruelly — you’ll hit The Wall. Hitting The Wall is unavoidable. You can do as much as you can to stave it off, but sooner or later, you’ll hit The Wall, and that will be that. I feel as if I’ve already hit The Wall in DotA. From the games I’ve played in the last little while, while there are specific situations where I was just being stupid and died for no real reason (going in on teamfights when the other team vastly outnumbered us, “helping” by going in on teamfights when one of our carries had already died to a good gank), I feel as though there’s precious little I could have done to improve the situation. I ask myself: did I die too much during the early game? Or did I fail in my duty as a support and not actually support the carries on my team? Because I’m not really sure of the answers, I’ve found solace in co-op bot games where you still play with other humans, but against bots, mostly on unfair difficulty. I’ve discovered a few things: while bots can smash you if you’re not careful, like any AI they’re predictable once you’ve played a few games against them. For example, they’ll almost always buy-back when you’re taking the high ground tier 3 towers. Mid-game, they’ll start grouping up and methodically taking down towers. They’ll only Rosh if they feel they’re far enough ahead. Because they always carry TPs, you can force them to move by threatening tier-2 towers — 9 times out of ten, they’ll TP from whatever they’re doing to defend the tower. But they’re prone to making mistakes, too — I’ve seen bots overextend when solo, leading to us jumping on them and getting the kill. Playing bot games only gets you so far, though. It’s fine for practicing heroes you’re unfamiliar with, but totally unsuitable if you actually want to get better at DotA — while humans play similarly to bots, it’s the completely different stuff that will mean humans can successfully gank where bots can’t. What’s more, it’s this situational stuff that will make all the difference between getting better at DotA and staying where I am in terms of MMR. But that’s the problem, innit — there’s just so much situational stuff to learn. Does Pudge’s ult go through BKB? Yes, in that you’ll disable the unit, but you won’t do any damage. Can a Juggernaut escape Pudge’s ult by using Blade Fury? Apparently yes. Does cancelling Shadow Fiend’s ult by using Vengeful Spirit’s ult to swap him out still trigger the cooldown on Requiem of Souls? Frustratingly, no. Hence, The Wall. There’s no way around the wall, or under it. You can avoid it altogether by not playing, but that’s not really an option. No, the only way to get past The Wall is through it, even if that means I need to play many, many more games before I start to see improvements in my own game. Then again, maybe there is no wall at all. Maybe it’s all just a figment of my imagination, an illusion conjured up by the part of myself that doesn’t want to admit I’m simply bad at video games, or perhaps even DotA’s weird matchmaking system that causes me and my party to be matched up with players that have vastly more experience than we do. 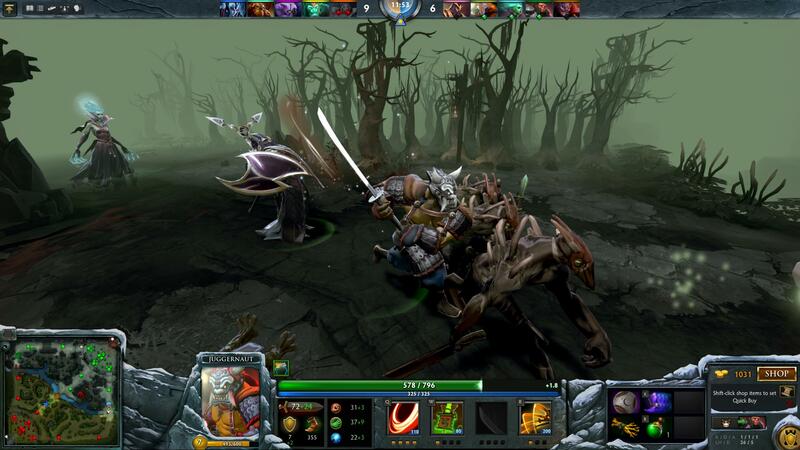 Putting aside The Wall — real or not — for a second, the question then becomes: how do I be better at DotA? Will playing more games help? Maybe. Will spectating more games and seeing how others play help? Perhaps. Will winning unfair coop bot games make me a better DotA player? Probably not, but it might make me feel better about myself for a period of time. There are those that say the only winning move is not to play. That might be true for many games, but I doubt it is for DotA.